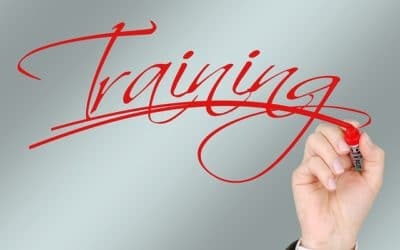 There are three main places where your education and training services company should be visible: on the web, on social media and in email inboxes. Each type of content requires careful brainstorming, creation, scheduling and analysis. In order to generate enough content to continue to attract potential clients to your educational website, planned quality blogs, social media posts and email campaigns must be generated every month. This is the fuel that feeds inbound marketing. A minimum of eight blogs are recommended each month in order to continually provide new content to attract potential clients to your website. Each week two blogs can be released on days that are convenient for your marketing team. When planning content for education and training services, it’s important to schedule each month’s topics according to what your target client (or persona) is currently thinking about. At the beginning of the year when budgets are newly allocated, it might be the best time to publish content on how to implement large-scale training, and how best to allocate your educational budget. In August, when many large companies have a shut-down period, or when much of the workforce is on vacation, it might be a good time to publish content on the educational benefits of rest and downtime. Meeting potential customers where they are is exactly how you showcase your value and build relationships. Additionally, all content on your website (blogs and other pages) can use SEO tools to ensure that your persona will find your web-based content. Search engines continue to evolve, and so part of the content creation process should begin with a review of relevant updates to Google, in order to ensure your content is ranked on the first page of results. An efficient social media content strategy makes use of the blog content above and repurposes it as smaller bite-sized tips on the platforms that your education and training services customer is most likely to be on. If your earlier adopter is an executive at a large corporation and is very active on Twitter or Instagram, you can share short sentences containing the gems of wisdom from your blog posts. This is only one example of useful content to use on social media platforms. On platforms like LinkedIn or Facebook, where longer-form content is appropriate, you can post a much larger chunk of the blog article, still allowing for at least two social media posts per week. The key here is to not post exactly the same blog and social content on the same day. Perhaps you post week one blogs on LinkedIn in week two of the month, and so on. Visual content should also accompany your social media posts in order to draw your clients in to read the text that you have attached. Image selection will also require planning and consideration of your persona, and what might appeal to someone looking to educate a large corporate workforce. If this sounds like a daunting task for your team, you may consider using an inbound marketing agency, where the team includes a graphic designer, SEO copywriters and social media strategists. There are a few different forms that email campaigns can take for education and training services. First, you can structure an e-newsletter to contain the weekly blog posts in a “here’s what you missed” fashion. Delivering the option to click on the blog article links or the social media feeds in an email format allows for the prospect to access the information on their own terms - when they want and on what channel (social or web). A second option is to combine your content with your CRM software in order to deliver tailored information (new and old) from your database that is best suited to where your prospect is in their journey towards buying your educational software. Certain pieces of content will be better suited to those who are just getting to know what kind of educational, problem-solving content you provide online. 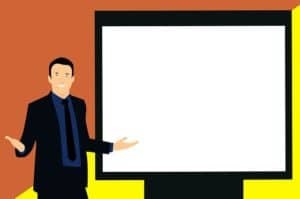 Other content will be more targeted to the prospect that has already engaged in conversations with your team and downloaded materials to learn more about e-learning and corporate training strategy. The genius in this method is that all of your older content will be re-purposed in order to best serve your audience. The most important aspect of this strategy is to always have quality content that is helping your current or future education and training clients. 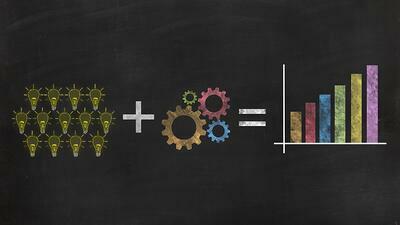 After crafting engaging content and distributing it effectively, the final step is analysis. 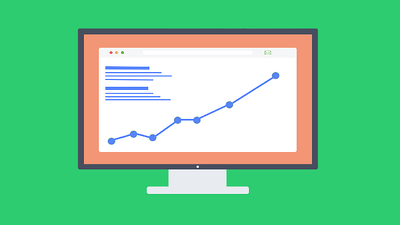 Constant trial-and-error, reviewing of analytics and adjusting the strategy as you go are required in order to keep up with changing search engine algorithms.